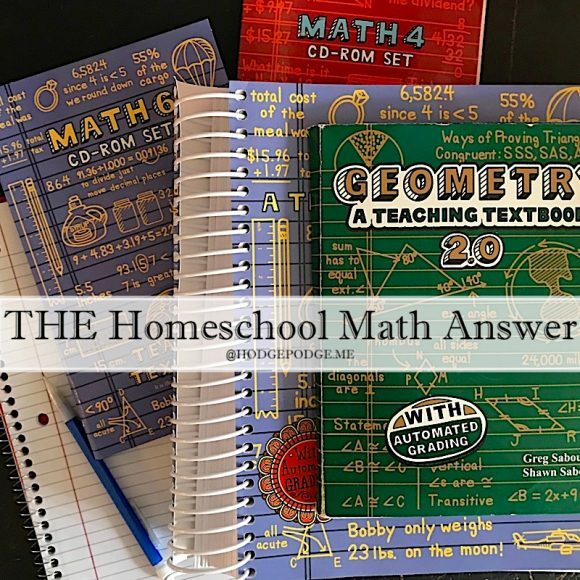 It was at the midpoint of the homeschool year I found we needed the math answer. The homeschool math answer. My eldest children were middle schoolers and I had preschoolers under foot. Math was a struggle. There were tears (from the children too). So I asked my fellow homeschool mamas. “Teaching Textbooks,” they said. I’m so grateful they did! 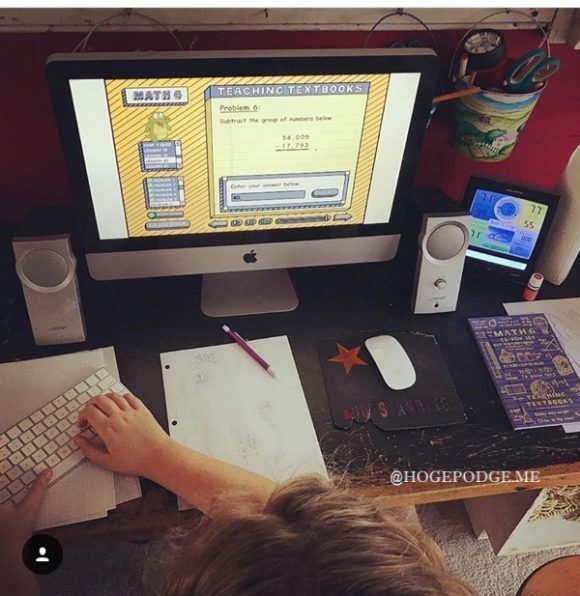 I remember the morning my 5th grade son stood up from the computer, skipped across the room and then said how much he loved Teaching Textbooks. You may know my family’s love for Teaching Textbooks because I have shared before. I adore curriculum and tools that help us get stuff done and have some fun. Teaching Textbooks is THE homeschool math answer for us – with a hodgepodge of learning styles. See I have visual, auditory and kinesthetic learners. The answer? Teaching Textbooks. Bonus: each level of math can be passed down to a younger brother or sister. It’s also frugal that way. We have now officially used all levels available from Math 3 to Pre-Calculus. Wow! Our Experience with Teaching Textbooks and just how we use it. And an encouraging article on 8 Ways to Conquer Math Phobia. Plus, how we came to love Teaching Textbooks. You should try a placement test and explore Teaching Textbooks too. 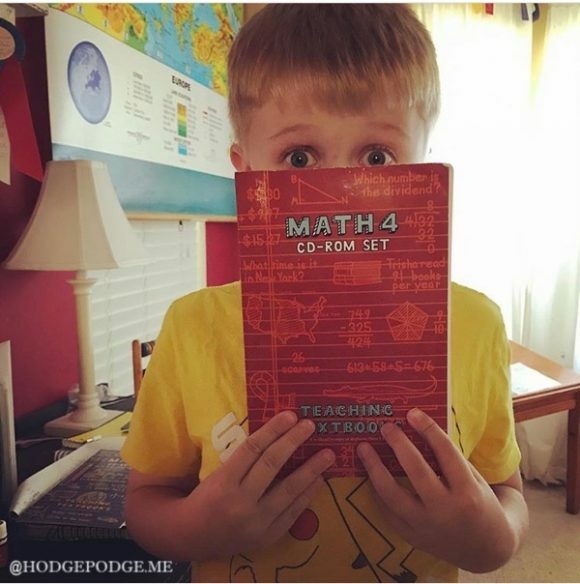 Teaching Textbooks is generously offering a complete set of math curriculum (YOUR choice!) to TWO (2) winners! A big thank you to Teaching Textbooks. Be sure to share this giveaway with your friends. We are giving away video art lessons, chalk pastels, homeschool curriculum and even essential oils! We are SO excited! Why? We are celebrating 10 years of blogging! How? Simply start at Hodgepodgemom.com then click on each of the four websites to enter to win. Oh how we LOVE Teaching Textbooks! It’s my oldest daughter’s second year using it (after trying several other programs!) and my youngest’s first year using it (because she’s only in 2nd grade) so I just can’t say enough good things about it. Sure would be amazing to win so we’ll have next year’s curriculum for my oldest! Oh that is awesome! Like you, I just can’t say enough good things about it. I don’t know what we would do without TT. It was a game-changer for us. My oldest will need Pre-Algebra for this fall. I would love to win this!! Love TT. Have used math 3, 4, 7, Prealgebra, and geometry. Need algebra 1, algebra 2, and math 4 soon. This is our second year using TT. We are using Algebra 1 this year. It is a great program!! We would choose Algebra 2 for next year! Thank you for doing this! wishing for pre algebra…lovelovelove tt!!! Amazing, because we were just looking at TT today and I had my son take the pretest. I would love to win. I would choose Algebra I and 5th grade. Game changer for me. The kids no longer have to wait on me to grade their assignments. It’s done with ease. Love TT for that.